It was a close call in this year’s Masterchef but Evie Asman stole the show with her finger-licking chicken goujons, hand cut chunky chips, homemade salsa and a fiery curry dipping sauce. The contestants had no prior knowledge of the ingredients on offer until they entered the room and then had just an hour to conjure up a main course dish using their skill and imagination. 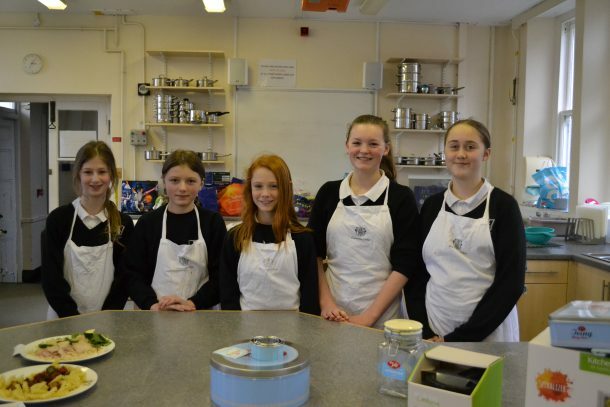 The other contestants who made it to the final were Kate Vickery, Jowna Strike, Jodie Samways and Sophie Bettison who were all from Years 8 and 9. Prizes were very kindly provided by Launceston Youth Council who were the sponsors and included various kitchen gadgets and bakeware.